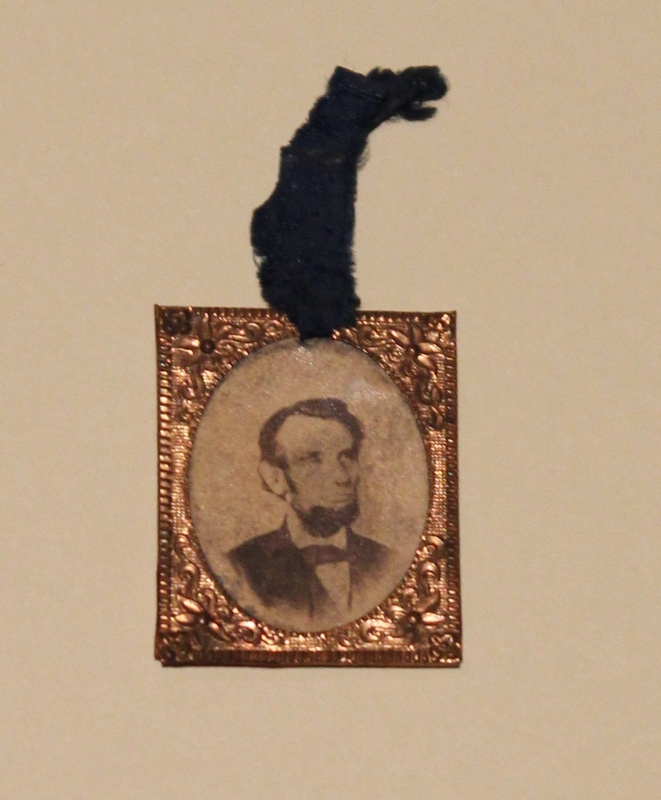 This small, framed photograph of Abraham Lincoln may have been worn by supporters during presidential campaigns and mourning during the President’s funeral procession. The funeral procession began in Washington, DC, on April 20, 1865. The train carrying Lincoln’s body stopped in Baltimore, MD, and Harrisburg, PA, before arriving in Philadelphia on April 22. The body lay in state at Independence Hall and was open for public viewing on April 23. The funeral train departed from Philadelphia for New York City at 4:00 a.m. on April 24.